"Love is . . . All Around," the newest book in the successful Abrams series, features the all-time best of these beloved cartoons The story behind the "Love is . . ." phenomenon is legend: In the 1960s, a shy artist named Kim Grove found she could best express her feelings to Roberto Casali, the man she eventually wed, through charming love notes. Casali treasured the drawings - and recognized their universal appeal. In 1970, he shared his wife's work with the Los Angeles Times, and the rest is history. 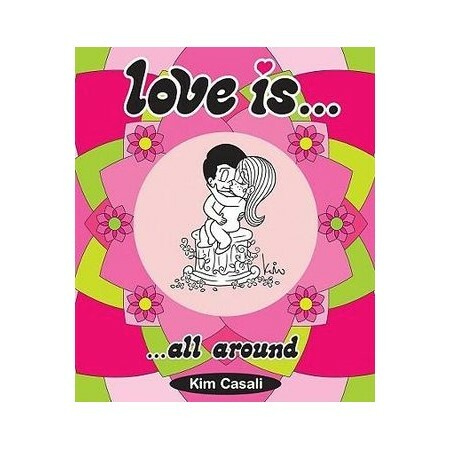 An essay by Stefano Casali, Kim and Roberto's son, completes this special book, offering an insider's knowledge of the heartfelt "Love is . . ." cartoons. Kim Grove Casali began what became the "Love Is . . ." phenomenon in 1967 when she met and drew funny little cartoons for Roberto Casali, her future husband. Their son, Stefano Casali, has preserved and promoted his mother's legacy of the universal messages of love since Kim's death in 1997.